A shell option is the perfect fit for the DIY builder. There’s an increasing number of people today who have the desire to build their own home or cottage. Trust me, I get it, building homes and cottages is awesome! That’s why we do it. Luckily for us, not everyone shares our passion for building or we wouldn’t have a job. But for those of you that do enjoy building. We have an option to make the process much easier. What exactly is a shell option? A shell option is when we take a home to lock up stage. This means that the foundation and framing are finished. Windows and exterior doors installed. Roofing is finished, and the exterior envelope is fully waterproofed. This first part of the build is very involved. It requires a high level of expertise and a lot of time. The structure is also the most important part of the home. For many people, these first stages of construction are by far the most intimidating, and rightfully so. So why not get started on the right foot? Doing a DIY build is an extensive amount of work. Whether you’re planning to do some of the work yourself, or just contracting. In fact, most of our customers don’t realize how much work is involved just making decisions on a custom build when someone else is building it! Customers who use a builder to create their dream home don’t get enough credit for all the hours put in looking through samples, visiting showrooms, and making decisions. By working with Pine Creek to get your project started off the right way, we can help make sure this experience is enjoyable and successful for you. So, what steps in this process can we take off your plate? We do full blueprints, including structural drawings, and electrical drawings. So, when we’re finished our part, you’ll be ready for the rest of the trades. 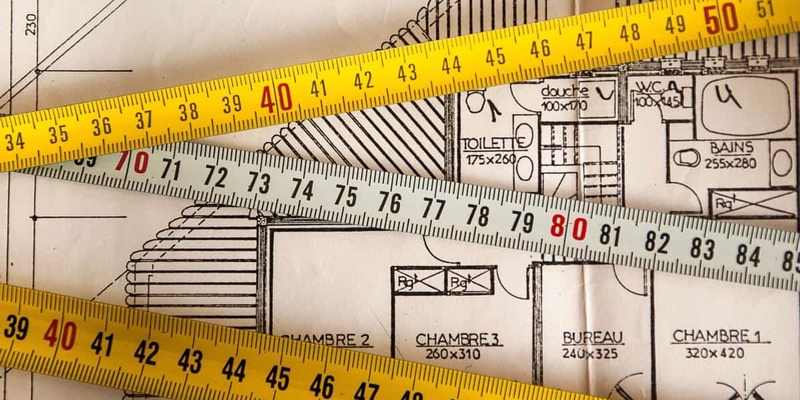 We take care of getting the blueprints stamped by the engineer, so they’re ready for permits. 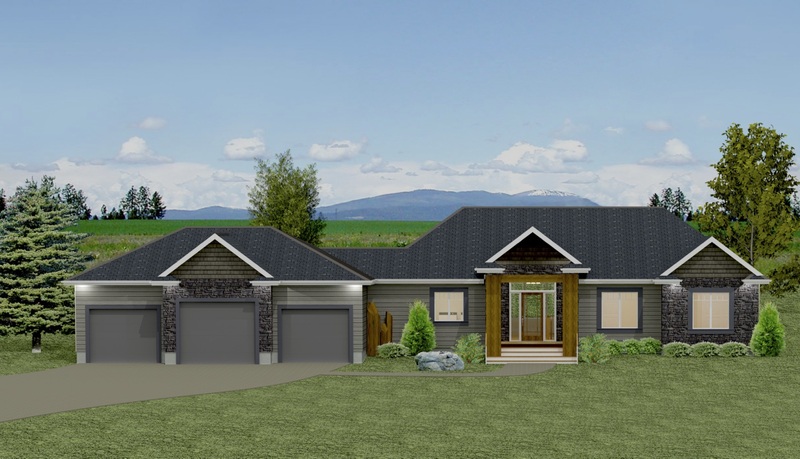 We can do 3-D walkthroughs and renderings, allowing you to get a really good idea of what your home or cottage will look like when it’s finished. We can’t pull the permit for you, because you will be the one finishing the project. So, your name will need to be the one on the permit. But we can walk you through the entire process. Making sure you have everything you need when bringing in the application. We deal with the city and municipalities regularly, so we’re well aware of the process and what’s needed to make it run smoothly. There are so many varieties of foundations, depending on location and application. Anything from scribing foundations to granite in the Whiteshell, to riverside properties that require Geotechnical surveys and timber driven piles. We’ve done all of them. The common misconception is that one foundation type is superior to another. The fact is, that every ground condition is different, and using the correct foundation for the condition is the most critical thing. Only high-risk building sites generally get a Geotech survey, so the engineer is just making his or her best guess as to what the best foundation type for your building location will be. Sometimes this results in an onsite decision to make a change after the basement has been dug, or the first pile hole has been drilled. Having a foundation contractor with the level of expertise to make these critical onsite decisions is key. Framing is another critical part of your new home build. Having a good framer makes life much easier for all the other trades. It adds confidence moving forward that the structure of your home is solid. Having the right framing crew is even more critical when doing a timber frame. When we build a timber frame, we build it inside out. This allows us to make sure the vapor barrier is perfectly sealed and that the entire interior finishes are fastened tight to the outside of the timbers. This provides a superior finished product. We have our own framers on staff that I work with and train personally. They need to be experts in framing, timber framing, vapor barrier; insulation and interior wall finishes, as they’ll be responsible for parts of these components. There’s nothing better than finishing your dream home or cottage and looking out large windows that are well placed and take advantage of the views and natural light that your property has to offer. However, deciding on windows for the DIY builder can be easier said then done. Comparing quality to cost and trying to understand the differences between the many window companies can be overwhelming. We’ve used many of the different quality brands offered in Manitoba, and are open to working with a specific company if you already have a favorite. If you don’t already have a preference, I’ll share mine. We’ve been using Jeld Wen windows since before they were called Jeld Wen. Jeld Wen windows are an excellent blend of quality and cost effectiveness. It’s not just the quality that a window company claims to have; it’s how they back that up. It’s how they take care of their customers in the rare case that there is an issue. Jeld Wen’s customer service for us has been fantastic. They go above and beyond to make sure that our customers are happy with the finished product that they end up with in their home. To top it off, we’re one of the few builders that have been grandfathered in to buying directly from Jeld Wen. A few years back, they switched to only selling to retailers, but grandfathered in some of their oldest customers. This allows us to buy at great price and pass that savings on to you! Any component of the exterior of a home is critical to keeping it protected from our unforgiving climate. Whether that be roofing, building wrap, waterproofing membranes, siding or other wall finishes. As part of our minimum involvement in a shell option, we like to get the roofing on and at very least the waterproofing and building wrap on the walls. This will protect your home or cottage from the weather while you continue the build. We can take the home or cottage to any stage that you’d like. While I’ve detailed above what a shell option includes, we can take the project to any stage in between a shell option and turn key. You just choose where you want us to stop, so you can take over. At Pine Creek homes, we love working with people who share our passion for building. Give us a call or shoot us an email if we can help you take the first steps on your dream home or cottage.